To activate this feature you have to click your rally point. At the point “Management” you find the option “Evasion settings”. 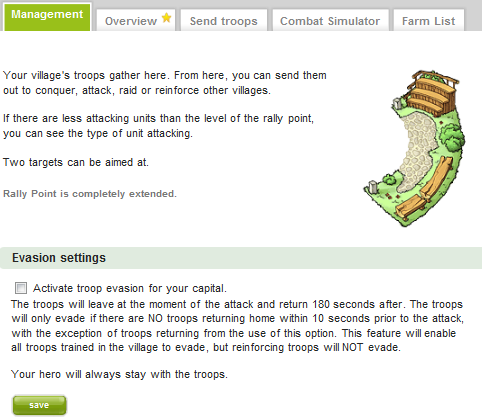 You can mark the checkbox in front of “activate troop evasion for your capital”. Finally you can click “save” to save the settings. With this feature only troops trained in this village but NO reinforcements will evade.